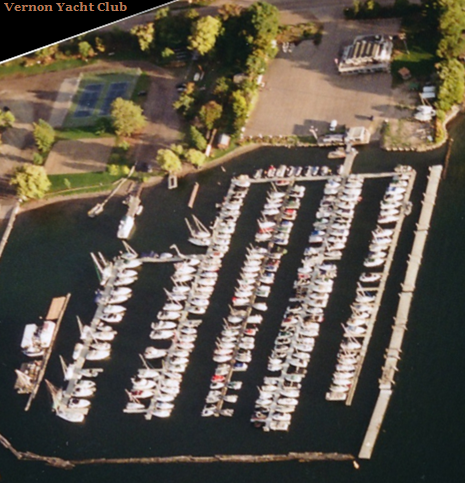 I am honored to serve as Commodore of the Vernon Yacht Club, we are located on north east arm of a 90 mile long Okanagan Lake,we provide moorage facilities for both power and sailboats and a few visitor slips. We host a lot of events through out the year such as the floating boat show, Commodores Ball,various Dinner and dances with a live band, Rib Off night,invasions from neighboring clubs, Ladies Night, Womens Regatta,Sailboat Races,and our very Famous Pig Roast. Our Mission Statement is to promote the enhancement of boating as a recreational and pleasureable pastime to encourage interclub and inner community nautical activities. We are currently expanding our marina to add about 30 more slips,and build a new breakwater. We currently have 333 regular members, 106 social members,29 affiliate members,3 lifetime members. We welcome all our friends from all Yacht Clubs to come and enjoy our very friendly club. 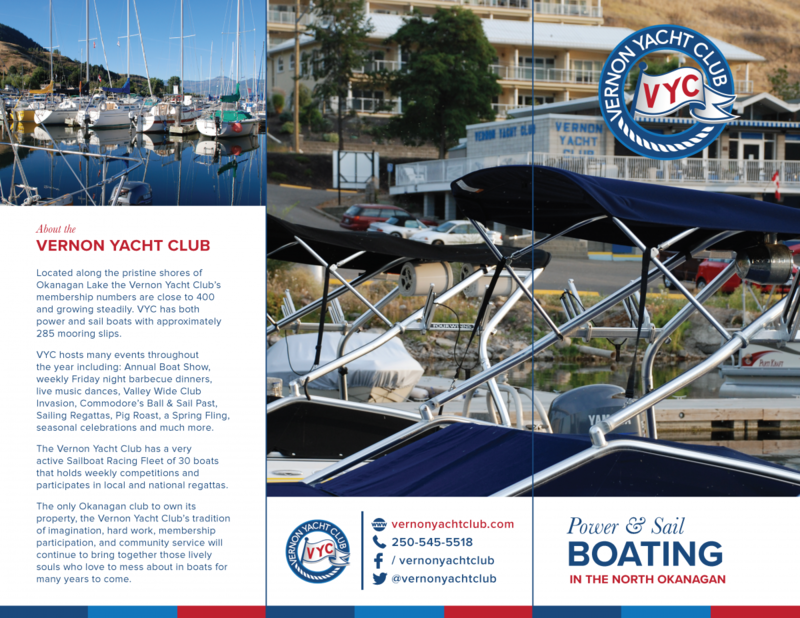 Vernon Yacht Club’s membership numbers are close to 400 and growing steadily. Power and Sail boaters are evenly represented with boats ranging from 16 to 35 feet in approximately 285 mooring slips. 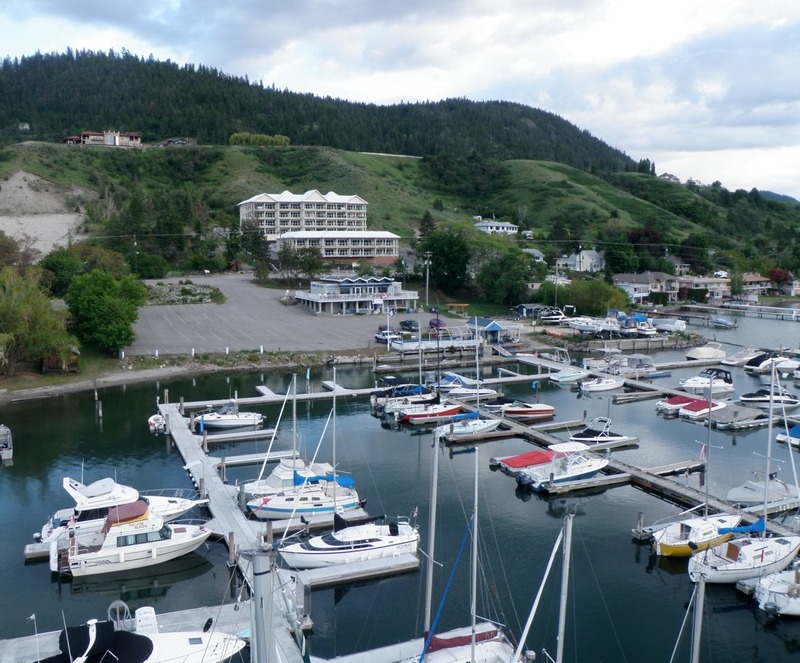 Cruising to other Okanagan Yacht Club Marinas around the lake and visiting their clubs are favorite pastimes of many Vernon Yacht Club members. VYC also has a very active Sailboat Racing Fleet of 30 boats that holds weekly competitions in the bay. Members of other Okanagan Yacht Clubs enjoy invading the VYC during our “Club Invasion” event and the club’s spring time Okanagan Sailing Regatta is well attended by competitive keel boat sailors from throughout the valley and a few from other areas. At Christmas and New Years, Vernon Yacht Club sailboats over-wintering on the water have evolved a tradition of dressing the rigging with lights and cruising the bay for enjoyment of Vernon residents. It is reported that some of these die hards sail each week, all winter long, on the almost ice-free lake. Other members volunteer to skipper a pontoon excursion boat “The Heaven Can Wait” for elderly and infirm members from our community. The concrete clubhouse has served us well and is frequently the scene of formal and not so formal socializing. Some members are also Power Squadron members and provide boating courses throughout the year. Recently the club has provided moorage and a meeting place for the Vernon Sea Scouts. Now on course to its 100th anniversary, the Vernon Yacht Club’s tradition of imagination, hard work, membership participation, and community service will continue to bring together those lively souls who love to mess about in boats.